Ryan Lochte is the big favourite for this race, which is no real surprise given that he is the current world record holder and reigning World and Olympic champion. His 1:54.00 in the last World Championships in Shanghai is yet to be beaten, and although he has only swum a 1:55.44 this season, it is still the leading time in the world. He qualified fastest from the semi-final and looked to have plenty in hand. He only appeared to push on the breaststroke leg and his turn from the backstroke to breaststroke is worth a few tenth of a second over the field at least. His closest challenger is likely to be the young Japanese swimmer, Kosuke Hagino, whose best time this year is 1:55.74, just 0.30 seconds behind Lochte. 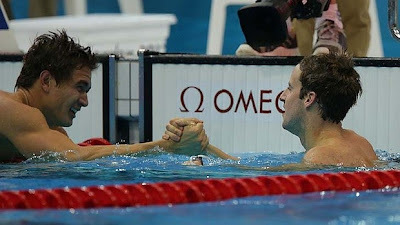 His strengths are the backstroke and butterfly and it would be no surprise to see him level with Lochte at the half-way stage, before the American pulls away during the breaststroke leg of the race. He qualified second fastest from the semi-finals and is certainly one to watch. The third podium place should go to the experienced Laszlo Cseh. He is a former Olympic silver medallist in this discipline back in 2008 and one would expect him to find himself slightly behind at the half-way point, before he aims to close the gap on the breaststroke leg. Their main challengers for the podium are likely to be the Brazilian, Thiago Pereira, and the Chinese swimmer, Shun Wang. Pereira is one of only four swimmers in the race to have gone sub 1:57.00 in the past couple of years, and while his best time this year is only 1:57.48, he should go quicker than that in this race. A finalist in the 2011 World Championships and 2012 Olympics, he should go well here. He has looked very easy so far and has eased up in both the heats and semi-finals to conserve energy. Shun Wang has improved dramatically over the past year. A best time of 1:58.66 last year has been knocked down to 1:57.50 this season and should he swim that time again here, he could be an outside bet for a medal. This should come down to a battle between the Olympic gold and silver medallists - Australia's James Magnussen and America's Nathan Adrian. The American beat Magnussen by 0.01 seconds to take the gold medal last year in London. Magnussen is the fastest in the world this year and looked to be in top form as he set the fastest time in the heats. However, he was disappointing in the semi-final, finishing third equal in his semi and qualifying as the joint fourth fastest into the final. He does seem to have a bit of a mental block when it comes to going head-to-head with the American, so his chances may depend on where he is drawn for the final. If he is out in one of the outside lanes, he can focus on his own race. If my calculations are correct, he should be away from Adrian and the American will be out of his eyeline. Nathan Adrian has been disappointing so far in these championships, but bounced back with a 47.95 to qualify fastest for the final. He looked very solid and very focused this evening and will be hoping to back up his Olympic gold medal with World Championship gold. Vladimir Morozov is a pure out-and-out sprinter. He tied with Magnussen in the semi-final, but appears to be a little flat so far, as have many of the swimmers that competed in the World University Games in Kazan earlier this month. Whether it is fatigue or something else, he just hasn't quite seemed himself thus far. Jimmy Feigen bounced back in great fashion, having received a lot of criticism for his final leg of the 4x100m freestyle relay on Day 1 when the Americans were brought back by the French at the death. He won the semi-final in a time of 48.07, showing great mental strength to overcome that earlier disappointment. Whether he can challenge for the gold is to be seen, but he is certainly one to keep an eye on.